December 1 will see the release of Motörhead Rum. As with every beverage the band put its name to, it's been a hands-on affair with no detail left unchecked. Quality, craftsmanship and a total no bull-attitude has defined these releases, and the Motörhead Rum is not treated differently. The Motörhead Rum has been aged for eight years in ex-bourbon barrels, which in the world of rums puts it in the finest quality corner. The aging has been done with the Solera process, meaning that as the oldest rum is pulled from the cask, younger rum is added to mature in the same cask. The result is a smooth dark brown rum with a balanced sweetness and notes of arrack, vanilla and dried fruits. Yvonne Wener, business manager at Brands For Fans, says: "We cannot begin to express how proud we are to have been given the opportunity to work closely with MOTÖRHEAD over the years, releasing quality drinks in all forms. The most dedicated, wonderful guys one could ever ask for, and true gentlemen in every sense. While we miss them more than anything, we are thrilled to be able to contribute to the band’s legacy with the Motörhead Rum, which we hope the MOTÖRHEAD fans and friends of rum will enjoy equally." Lemmy Kilmister said in one of the last video clips ever shot before he passed away: "I don't drink milk, and I never will. You assholes!" About Motörhead Premium Dark Rum: A rum from the Dominican Republic, aged in ex-bourbon barrels for eight years. The maturation has been through a Solera process, adding consistency and smoothness to the finished product. 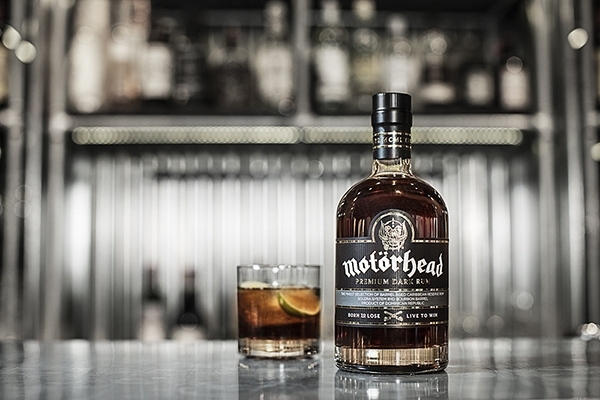 A well-balanced sweetness with notes of arrack, vanilla and dried fruits can be found in the Motörhead Rum. Tasting notes: Aromas of dried fruit, vanilla, brown sugar, arrack and dark chocolate. Full-bodied and spicy with notes of chocolate, vanilla, oak and nuts, with a medium sweet, spicy finish. To be mixed with cola or drink as a sipping rum served on the rocks. For more information, visit www.brandsforfans.se.